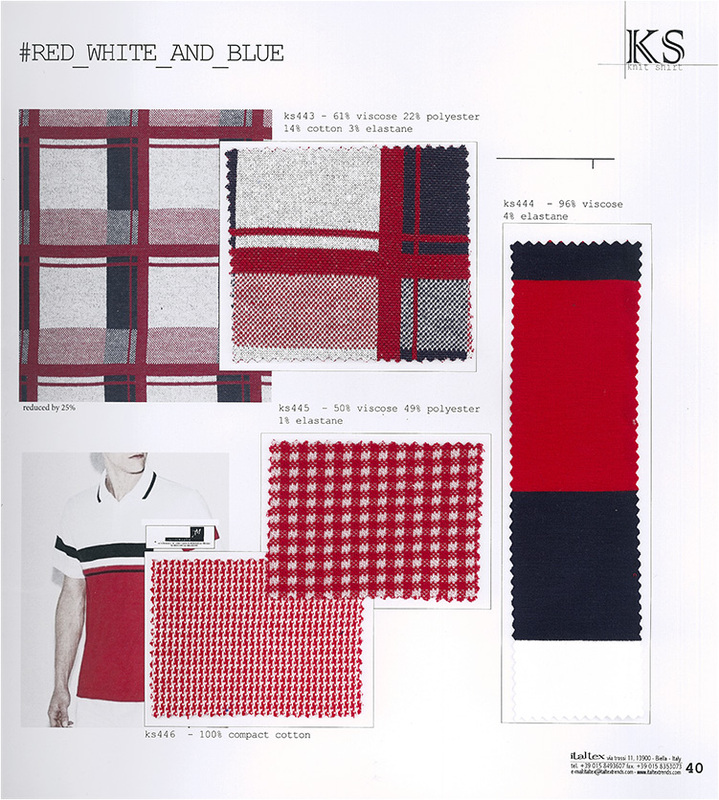 Italtex Color and Fabric Trend Book with swatches on knits suitable for T-Shirts, polos and shirts, mostly in cotton and blends. Colour trends with Pantone® reference numbers. 1 Book - summer only.